We've released some improvements to our Event Details card: Recurring events will be automatically detected, making it easier for you to see past notes on that series. 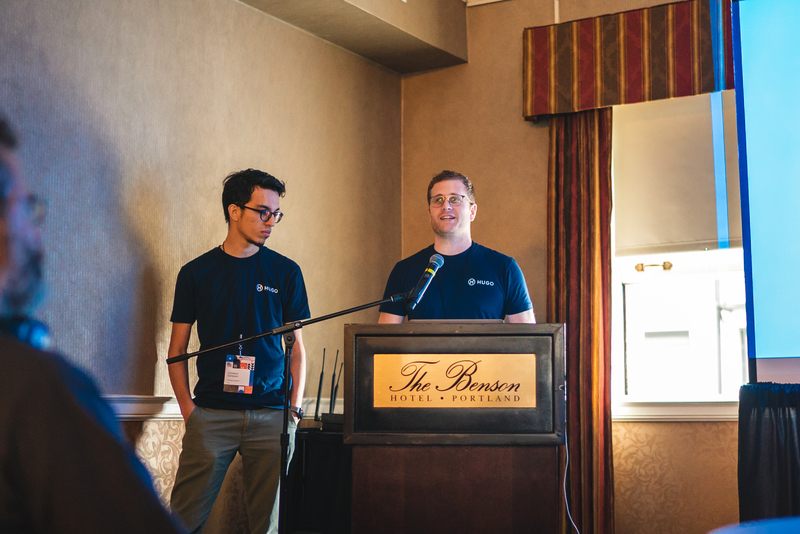 Next time you're in a recurring meeting with your team or customer check-in, you'll be able to see what agenda, notes and actions were recorded in the last interaction so nothing falls through the cracks! We've added the ability for you to email notes to people outside of your Hugo team. 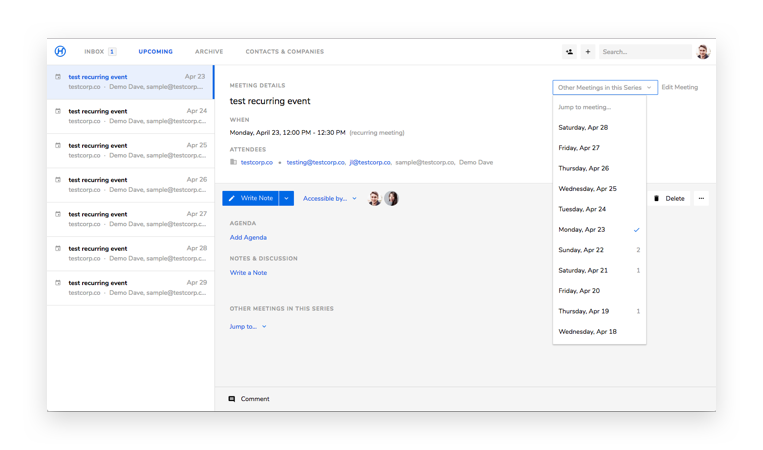 Actions are supported in this feature, so next time you share notes with someone on the other end of the phone or table, they'll also be able to see which actions you triggered and have confidence that the work has been captured and scheduled! Support for checkboxes has been added to the Hugo note field. These are great for setting an agenda ahead of time or tracking takeaways at the end of a meeting. 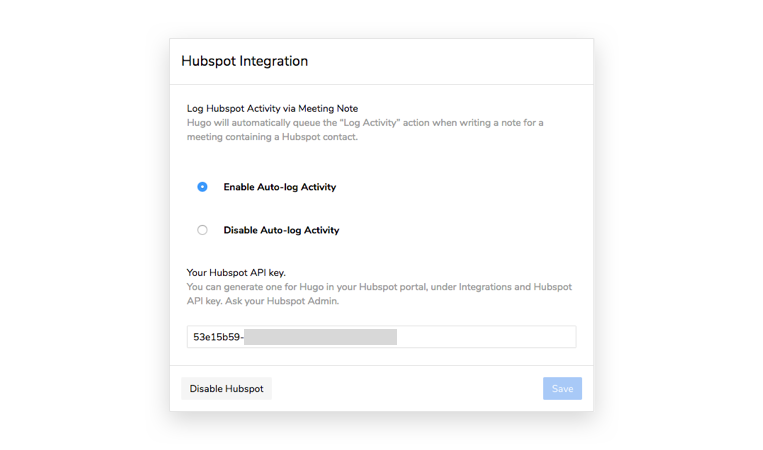 If attendees in your meeting note match a contact/company/deal in your CRM, Hugo will automatically detect that and add an action to your note that will log an activity on Publish. 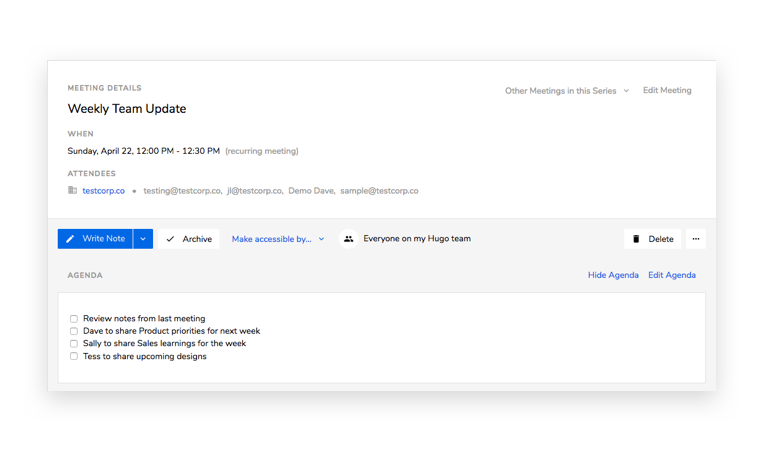 This is great for teams in Sales, BD, Success, and Support - they can continue sharing notes with the team in Hugo without having to remember to update their CRM. 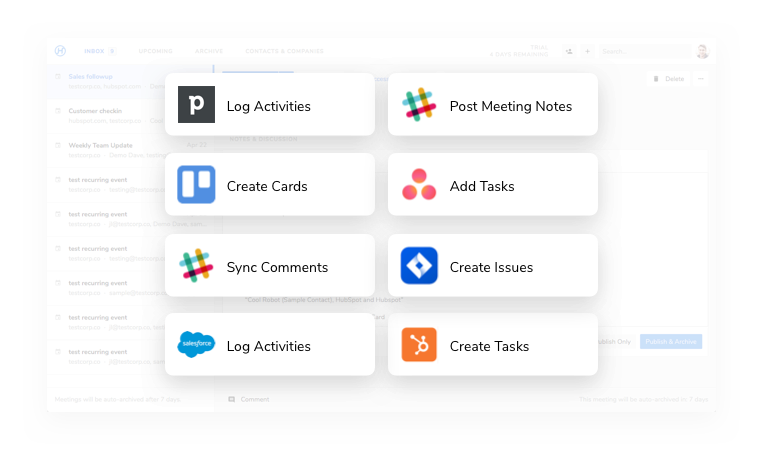 A single Hugo note can update your team in Slack, log CRM activities, create tasks and file tickets with a single click! A big thank you 🙏 to all of our users who helped inform and refine these features. Keep the feedback coming!